The news of conviction of the former Prime Minister Begum Khaleda Zia by a trial court to five years of imprisonment for embezzlement of US$ 2,52,000 from a trust fund created in the name of her late husband and the first Martial Law Ruler of Bangladesh General Zia-ur-Rahman has become a bit old. It has travelled beyond Bangladesh instantly when the court handed out the judgment on Thursday around 3.00p.m. Besides Begum Zia six other persons, including her eldest and the only surviving son, who in the eye of the law is absconding but residing in London since 2007, have also been convicted to ten years of imprisonment from the time they surrender to the court. The embezzlement case, known as the ‘Zia Orphanage Trust Graft Case’ was filed on July 3, 2008 by the Anti-corruption Commission during the Caretaker government. It took long ten years, 236 days of hearing to close the case. Begum Zia was the main accused and if found guilty the court could have handed her a life term but while announcing the verdict the court in clear terms said it refrained from giving her the life term considering her social status and age. The court by any definition was kind and generous. Just twenty hours before the verdict of the Zia Orphanage Trust case was announced in Dhaka thousands miles away, in London an unprecedented and deplorable incident happened. Some expatriate thugs, posing as supporters of BNP residing in UK went to the Bangladesh High Commission in London, forcibly entered the High Commission premises, vandalized the premises, brought out the official portrait of the Father of the Nation Bangobandhu Sheikh Mujibur Rahman and the Prime Minister Sheikh Hasina and showed utmost disrespect to the portraits, forgetting that if it was not for the Father of the Nation they would not have been able to travel to London or anywhere outside Bangladesh as a citizen of a independent country with a passport. They also perhaps are unaware that if it was not for him Begum Zia would have lived with a broken family. What is more disappointing that the law enforcing agencies in London have completely failed to protect the premises of the Bangladesh High Commission, notwithstanding the fact that every country’s diplomatic premises is considered to be sovereign and it is duty of the host country to protect that sovereignty. In Dhaka once in a while some demonstrators wants to go and protest in front of some diplomatic premises but the law enforcing agencies would have nothing of it and most of the time they are either intercepted near the Shahbagh or Mohakhali, forget approaching the Baridhara diplomatic enclave. If such an incident would have happened in Dhaka hell would have broken loose followed by strongly worded protests from the home country and in certain cases the country concerned would have called back their diplomats or their family members. Unfortunately nothing of this will perhaps happen in this case. At best Bangladesh can just lodge a complaint. Ironically we consider England to be home of modern democracy. However, taking advantage of liberal policies of the British government it seems that the world’s political thugs, militants and controversial politicians are allowed to take refuge in Britain quiet easily. Begum Zia is the second Head of Government or Head of State in Bangladesh who have been convicted in a corruption case. The first one was General Ershad. Besides the Zia Orphanage Trust Graft Case thirty seven more cases against Khaleda Zia are pending with trial proceeding and few cases like the Zia Charitable Trust Case and 21 August Grenade Attack case are nearing completion. If found guilty in these cases Begum Zia and Tarique Rahman may find themselves with more convictions. Earlier in 2007 Begum Zia along with Awami League President Sk. Hasina were taken into custody by the Caretaker Fakhruddin government and interned separately in two houses in the Jatiyo Sangsad compound. Though number of cases were filed against them no conviction was made. Both were released later when the going went tough for the Fakhruddin government. Before the day of the verdict the law enforcing bosses announced that they will ensure no procession or demonstration takes place and on the day will pass peacefully. But things did not happen as planned. Begum Zia’s motorcade was intercepted and taken over by few hundred BNP supporters near the Karwan Bazaar while the escorting police seemed helpless. This should not have happened. Such incidents may have had disastrous consequence considering Begum Zia’s security. There were sporadic clashes with the police and the supporters of the ruling party. But credit should also be given to the law enforcers for the patience they have shown on that day, not only in Dhaka but across the country. For the entire period of the hearing Begum Zia’s lawyers have argued on legal point for her unconditional release. The court not only gave them patient hearing but also allowed Begum Zia to speak before the court for extended period. When she spoke there weren’t much of legal points but more of emotion and political rhetoric. Every time Begum Zia went for hearing she would be accompanied by few hundred of her followers upto a certain point. Quite often they would fight pitched battles with the police when Begum Zia returned from the court. Once her lawyers fought amongst themselves in the court premises. On few occasions the presiding judge had to leave court because of the rowdy behaviour of Begum Zia’s lawyers inside the court. Sometimes the errand lawyers apologized to the judge for their behaviour. Even after all these long proceedings, once the verdict was announced the BNP lawyers and its senior leaders were quick enough to announce that the case was politically motivated. Their comments before the media seemed like the case was between BNP and Awami League whereas the truth is it was a long drawn legal battle between Begum Zia and the State. Begum Zia can move to the High Court Division of the Supreme Court for bail and subsequent acquittal. Till the completion of the entire legal process everything is not lost as many of the BNP supporters would like to think. If the court decides she may even contest in the next parliament election. Begum Zia behind bars, BNP does have a problem on hand. As per the party constitution absconding Tarique Rahman is the designated Chairperson. Tarique is no politicians, just a rabble rouser with no credible past and is known for his lust for ill gotten money. He has already been sentenced to seven years in prison for money laundering. The party lacks ideological cohesiveness that binds a political party leadership in case of crisis. 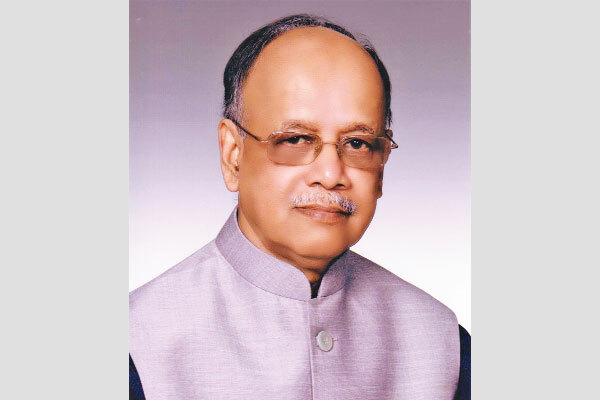 After the Fakhruddin’s Caretaker government took over the BNP practically fell apart with late Saifur Rahman claiming to be new Chairperson. Quite a few senior leaders joined his bandwagon. Though Begum Zia heads a twenty party alliance the other parties, except the Jamaat are one man party having no significance whatsoever. Because of the petrol bomb warfare unleashed during the 2013-14 period with the active participation of Jamaat goons it will be suicidal for BNP to try something similar this time with their party Chairperson behind bars. During those petrol bomb days about five hundred innocent people were burnt to death and property worth millions of taka were burnt. The best option for BNP is to fight the case for Begum Zia in the court and reorganise the party realising the fact they need a new leadership. They also need to realise that only because of political cohesiveness and good leadership Bangladesh Awami League could bounce back into the national politics after a lapse of twenty one years and rule the country for three terms. Begum Zia’s conviction has set an example for the politicians of the country that no one is above the long arm of the law. Political leaders should also realise that humility, compassion and vision make a good leader. Arrogance, greed and intolerance can be the cause of downfall. Some may ask was it necessary to convict Begum Zia? It is not the question of necessity; it is all about the rule of law as was the conviction of the people for their crimes committed in 1971. Now it is also time to try those accused for corruption, swindling banks money and abuse of power. It is immaterial which party the perpetrator belongs to the rule of law must prevail.